Barely two weeks at home after visiting this great city, I long again to the chaos of the busy intersections, the smell of smoldering döner, the sound of honking taxis and even the müezzin from the mosque calling the people five times a day for prayer. I love the hustle and bustle. I swipe daily through the photos on my iPhone and let my mind wander through the fine moments I experienced in fabulous Istanbul. I think of the day when I visited my Turkish friend Sibel, whom I met when I was an Istanbulite myself. We met at Mado, one of my favorite restaurants for a rich Turkish breakfast. For someone who never ate have breakfast, in Istanbul I learned to take my time for this important part of the day. Breakfast plays a significant role in everyday life of Turkish people and is often an occasion for family and friends to get together and catch up. At Mado you can enjoy a generous plate of Turkish cuisine, an orange juice and a delicious Turkish tea or coffee for less than 20 Turkish Lira. 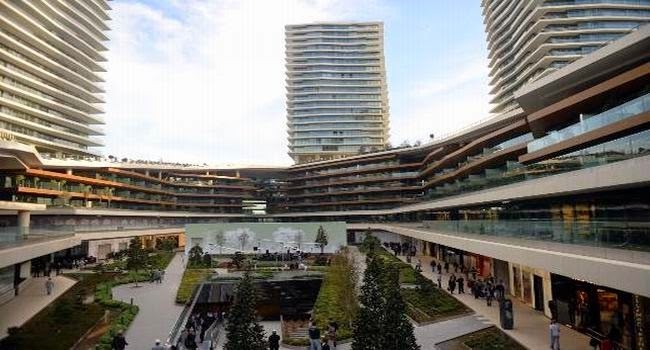 According to my Turkish friends, Zorlu Center was one of the most luxurious shopping centers of Istanbul, so I had to see this. You may take the metro there, but I preferred taking a taxi which dropped me off at the main entrance. I walked in the direction of the 22-story residential tower, where 200 shops are located. It soon became clear to me that everything is bought here with platinum credit cards and I could only order a coffee on one of the terraces of the futuristic square. But hey, it doesn’t matter if you just see your dream ring in the window of Tiffany & Co and in your head you come up with a savings plan to purchase that great Dolce & Gabbana bag. 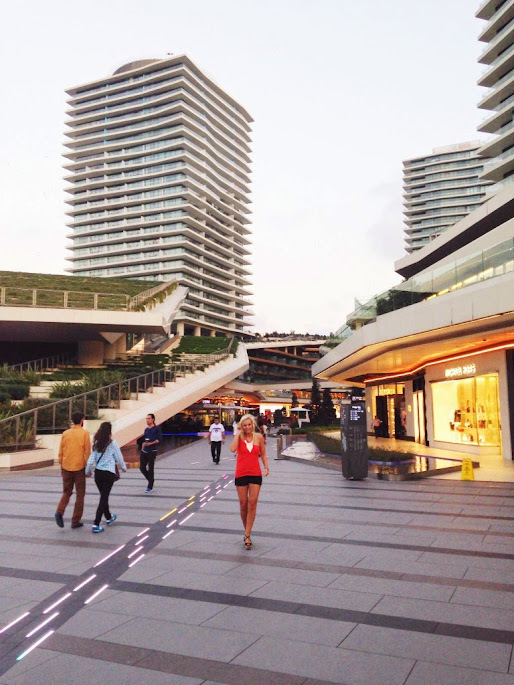 The Zorlu Center is a multifunctional complex and includes a shopping mall, a five star hotel, many offices and 584 apartments spread over four residential towers. 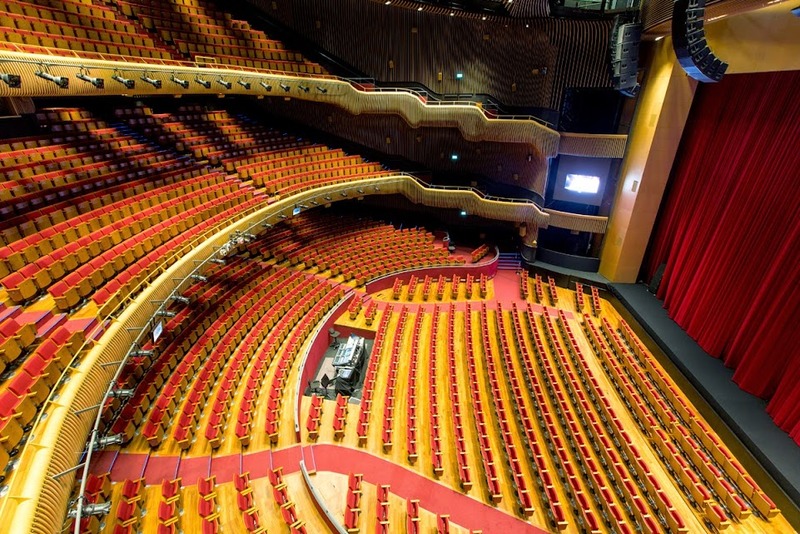 However, the Zorlu Center PSM with its 14 rooms and the largest performance hall with a capacity for 2,262 visitors is one of the most important functions of the Zorlu Center. Many women will be euphoric about the mega Apple Store on the ground floor of the shopping center. Not because they want to test the latest iPad there or to buy a compact MacBook. No, she will probably find her husband hanging out in this gadget mecca for two hours so that they can go at ease to try 60 pairs of shoes at Prada. Once at home, we got ourselves ready for the evening. Most Turkish women visit the local barbershop rather than doing their own hair. Since we were in the chic Nişantaşı district, we made an appointment at the hair salon Makas Nişantaşı, where the well-known hairdresser Ahmet Çoban conditions the hair of famous Turkish TV stars, singers and soccer players’ wives. Most salons in Istanbul offers other services besides a good haircut, like eyebrow grooming and manicures. After this long day of shopping, I had deserved a nice manicure and pedicure! We were all dressed and ready for action. 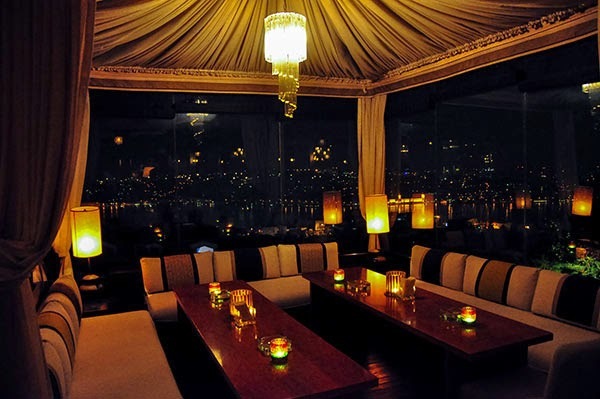 We took a taxi to Ulus 29, a famous restaurant in Ulus. We were greeted by a host who took us to a table by the window with stunning views of the Bosphorus and the beautifully lit city. We started the evening with a wine from their award-winning wine list, then picked some delicious dishes from the menu which mostly focuses on Turkish cuisine but also includes international dishes such as pizza and sushi. Usually, my girlfriend and I can talk non-stop for an hour, but now we were silent realizing that this was a pure moment of happiness. Good food, good company, perfect service, great views and beautiful people. We were amazed by the chic Turkish women; they certainly knew how to dress up elegantly for a night like this. Now that we had dined, our evening could really begin. 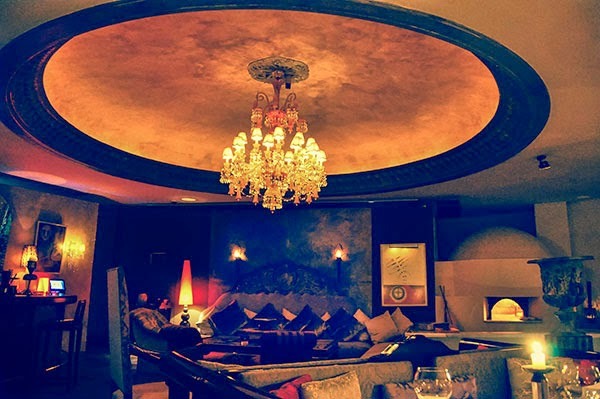 Reina, one of the most prestigious clubs of Istanbul, and very well known outside of Turkey, is the perfect place for dancing with the rich and famous. We knew this would be a great evening with our new “dress to impress” attitude. Once inside, I literally felt in paradise. Overlooking the stunning Bosphorus and the illuminated Bosphorus Bridge, we enjoyed delicious cocktails and danced to the hot Turkish and European songs. Booking a table is pretty pricey and the drinks are not cheap (around €13 for a cocktail). But hey, why not have this experience if you have a view like this! Around 3am, we knew it was time to leave as our feet were starting to give up in our high heels. I always feel like a star after a day of upscale shopping, luxury dining and partying in style in Istanbul. Unfortunately, there wasn’t a limousine waiting for us but our good old taxi driver at the end of this memorable night. We climbed into the cab tired but satisfied. A visit to Istanbul is different every time but always a magical one! Petra Stoel got her bachelors degree in communications at Inholland Hogeschool Rotterdam in 2005. Then, she worked for ING Bank as an HR assistant and as project manager at advertising agency AM + D. In 2008, she moved to Istanbul and became an expat to work as a team leader for HCN customer contact center for 3 years. Currently, she resides in Netherlands working as an account executive at media agency GroupM, and keeping her own blog about Istanbul, www.missistanbul.nl.